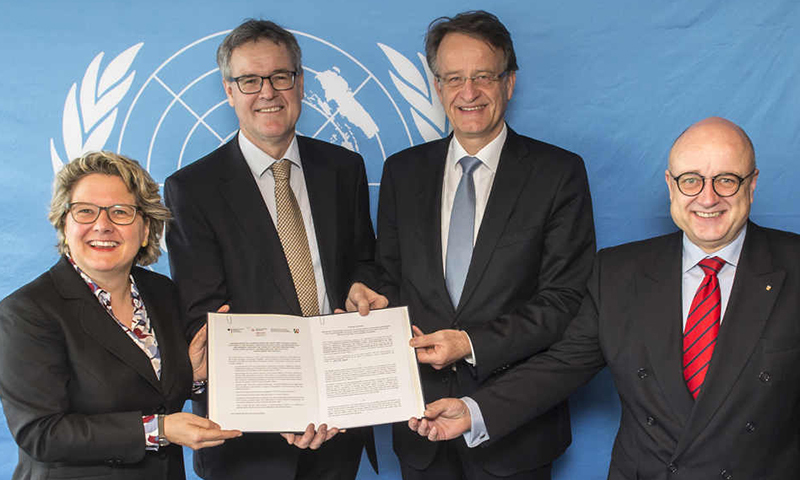 A new Memorandum of Understanding between UNU-EHS, the Federal Ministry of Education and Research of Germany (BMBF) and the Ministry of Innovation, Science and Research of the State of North Rhine-Westphalia (MIWF) will help fund innovative research into environmental risks and contribute towards bridging science and policy. Read more. Indonesia is among the countries with the highest risk of environmental hazards and climate change impacts. 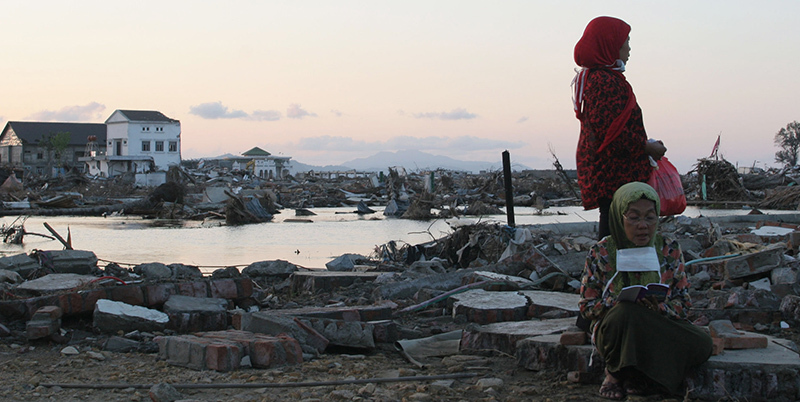 A new book, co-edited by experts from the VARMAP section of UNU-EHS, explores how the country is making itself more resilient to disaster, and the challenges it still faces. Read more. 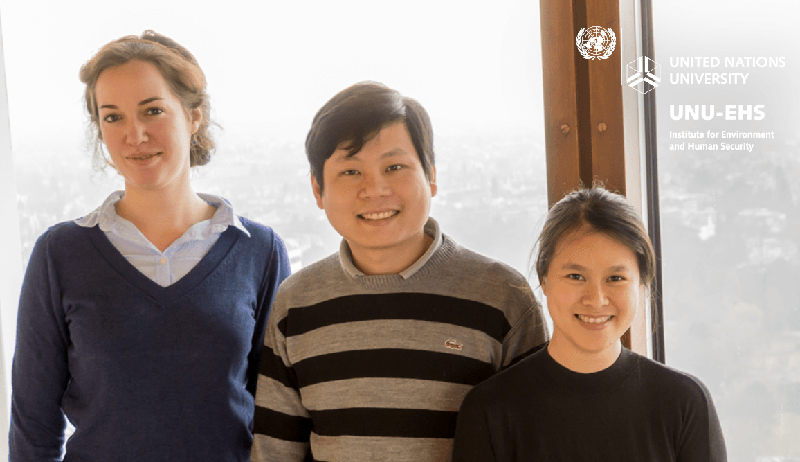 A trio of PhD scholars at UNU-EHS is carrying out innovative research through the DeltAdapt project, focusing on environmental changes and human challenges in Vietnam’s Delta regions. In this blog they share their interests and motivations with us. Read more. A new centre of excellence for climate adaptation, an initiative of the Government of the Netherlands, aims to help nations and businesses put climate adaptation theory into practice. As a member organization, MCII will contribute to this new pool of global knowledge. Read more. 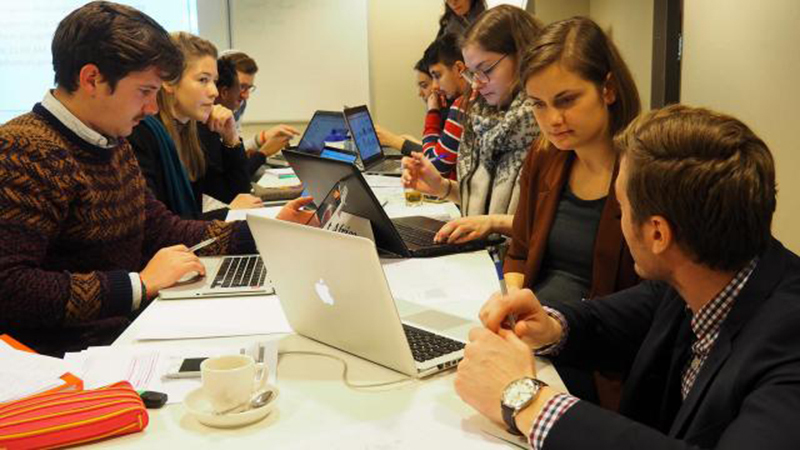 Masters students from UNU-EHS embraced transdisciplinary thinking during the 2017 NASPAA student simulation competition in Maastricht, the Netherlands. Their models for achieving Sustainable Development Goal 2 – focused on food security – helped them win the prestigious global competition. Read more.